At The Good Samaritan Institute of Dental Implants, your care is our top priority. Dr. Andrew Slavin and his staff make sure your oral health and medical needs are fully addressed. Understanding your needs, addressing your concerns, and providing you with the best medical advice available is something you can expect from us. Your care is our first priority. During your initial office visit, you can expect to be greeted by a warm and friendly staff dedicated to helping you achieve optimum oral health. First and foremost, we practice Personalized Implant Care which means your specific individual needs are thoroughly reviewed as part of our initial consultation and recommendation. his patients 24/7 access to his cell phone is just another reason why Dr. Slavin takes your personalized care personally! Every one of our staff members takes Dr. Slavin’s core value of personalized patient care to heart and we look forward to sharing our vast experience with you. For the last 30 years, Dr. Slavin has practiced in the same office because of its location on the campus of Good Samaritan Medical Center. Located in the Victor Farris Building, our office is connected to the hospital, which means that, should the desire or need arise, our patients have immediate access to multi-specialty care. Dr. Slavin is proud to offer his patients the most advanced, robotically-controlled 3D medical imaging technology in the world today with the brand new CareStream 9600. Pushing the envelope for maxillofacial imaging technology, the CareStream 9600 allows Dr. Slavin to create a digital model of your unique surgical plan in order to ensure the most accurate dental implant placement for you. This technology has allowed Dr. Slavin to maintain a success rate of 99.8% over the course of his career and he looks forward to offering you the same world-class dental implant care. 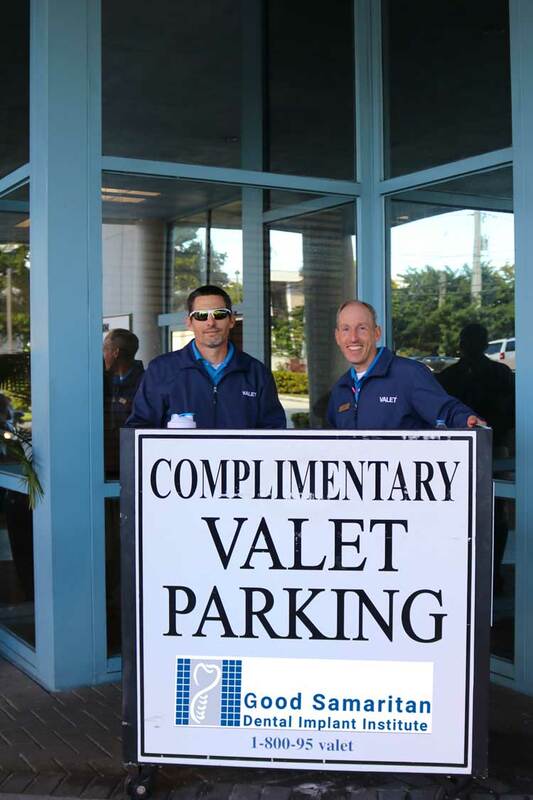 We provide all our patients with free valet parking and easy ADA access at the Victor Farris building. From the moment you arrive at our offices you will experience why we have received a 5 star rating from over 120 patients. We are here to serve you and your dental implant needs. At The Good Samaritan Institute of Dental Implants, your care is our top priority. Dr. Andrew Slavin and his staff make sure your oral health and medical needs are fully addressed. Understanding your needs, addressing your concerns, and providing you with the best medical advice available is something you can expect from us. Your care is our first priority. We recognize the price of dental implants is an important part of your decision, so please call us to discuss your specific situation. From the replacement of single or multiple teeth to bone grafting for dental implants placement, our goal is to restore optimal dental health for all of our patients, with state-of-the-art facilities in an environment that is comfortable and convenient. 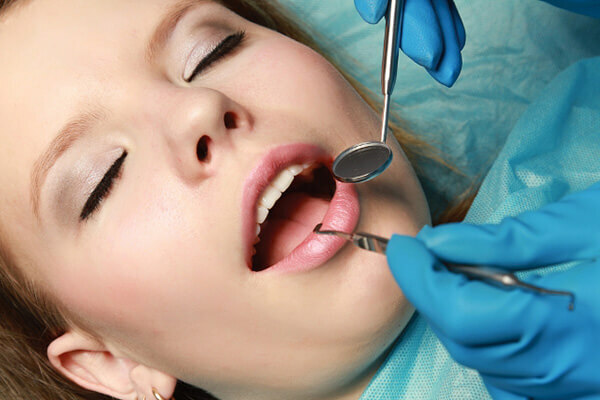 Understanding how sedation works should help reduce your level of anxiety. 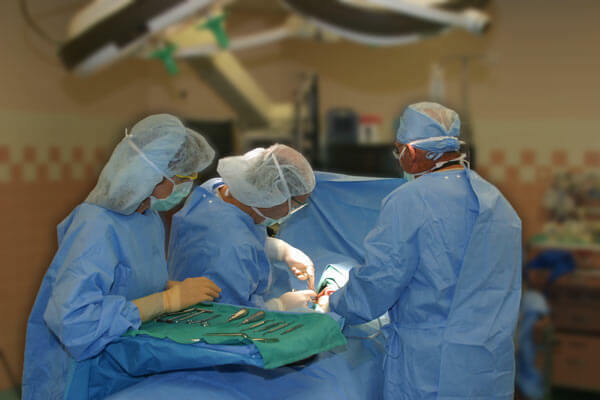 What makes Dr. Andrew Slavin DMD and Good Samaritan Dental Implant Institute Different?